ALEX TOYS & KID CRAFT DEALS up to 50% off!! You are here: Home / Amazon Deals / ALEX TOYS & KID CRAFT DEALS up to 50% off!! 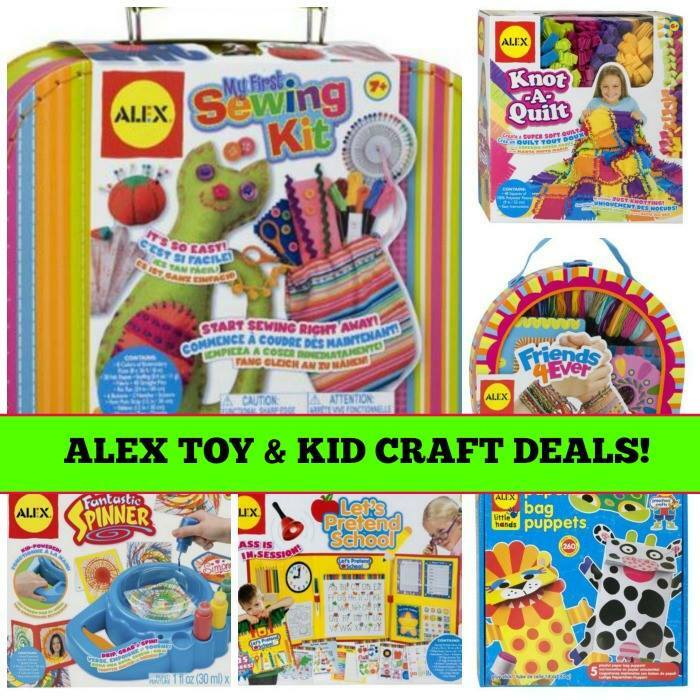 Currently you can find a HUGE collection of Alex Toys & Kid Crafts marked down up to 50% off! This is a great way to fill your Christmas and Birthday stash with many items only $8-$15! Here are just a few that caught my frugal-momma-shopping-eye. Click here for the full list. These are just a few, friends. There are about 30 more here on Amazon.